Unmanned aerial vehicles (UAV) are being used in a wide range of applications such as surveillance monitoring, aerial thermography, law enforcement, security work and firefighting. Although the application of this technology is still on the rise, acquiring high-quality video images from a UAV can be difficult at times because of poor video transmission. 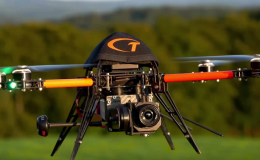 To overcome this issue, TeAx Technology UG, a German embedded systems specialist, has developed a ThermalCapture hardware, which along with FLIR’s Tau2 thermal core, makes it possible to store thermal video onboard the UAV and which can be viewed and post-processed at a later date. 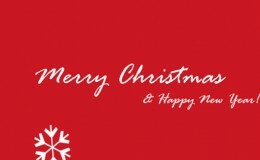 TeAx Technology was established in 2013. Its founders, Stefan Thamke and Markus Ax, have conducted many years of research at the University of Siegen in different projects of outdoor robotics. They also gained vast experience on the coordination of UAV swarms under real conditions and in the area of controlling UAVs over IP networks. Stefan Thamke stated that they have worked with thermal cameras on UAVs, especially the FLIR Tau2, but over time they noticed that transmission of video from the UAV to the ground was not entirely effective. This is because environmental factors such as atmospheric disturbances or weather disturbances tend to reduce the quality of the digital data image. When an image has missing links or stripes, Thamke and Ax thought that it would be practical to have local digital data storage onboard the UAV, besides the video transmission. This approach would ensure that the quality of the video does not degrade due to transmission, and that the raw material can also be utilized for post-processing. However, no such real compact storage solution was available on the market to apply this approach. Thamke and Ax later decided to build their own solution. A custom designed hardware solution, ThermalCapture enables users to store RAW data directly on a USB memory stick, along with additional data. This custom-built hardware can be easily accommodated on the rear side of a FLIR Tau2 camera core and can be integrated along with the camera into existing holders. The ThermalCapture can even enrich the raw data with additional data like time and position from GPS. TeAx Technology provides a complete solution by integrating the ThermalCapture hardware and the FLIR Tau2 core. The hardware is also suitable for users who have combined the FLIR Tau2 core into their UAV and want to extend their functionality with storage. 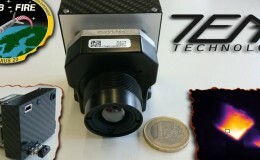 For TeAx Technology, the FLIR Tau2 camera core proved to be a perfect product, thanks to its excellent image quality, compact design and low weight, all of which make it easy to incorporate onto a UAV. Another benefit of the FLIR Tau2 camera core is its range of resolutions and lens options. With this integrated package, it is possible to obtain the image quality of a high-performance thermal imaging camera in a small and lightweight format. In addition, the ThermalCapture supports the sophisticated radiometric option of FLIR Tau 2 cores. Through this option, users can perform a temperature measurement for each pixel of the picture. The ThermalCapture offers two modes of operation. Users can obtain the video footage either by an external trigger or continuous recording, similar to the way a standard camera is operated. ThermoViewer, a software solution from TeAx Technology, is equally important as the ThermalCapture hardware. Using this software package, the recorded raw data can be processed from the ThermalCapture module subsequent to the flight. The ThermoViewer reads the raw data from the USB and changes it color or black and white images. The auto-conversion feature can be used by users who wish to have quick results. In this mode, the ThermoViewer software ascertains the preferred parameters for each dataset and saves the result as a standard PNG image. Expert users can manually change these parameters to achieve the best result for every picture. Since UAV users can dispose the raw video data, they can view more and thus acquire more useful data. Stefan Thamke statted that if a thermal camera is used to look at a soldering iron in an indoor environment, the camera is likely to focus on the hot iron and leave the rest of the room black. By choosing the right viewing range and by setting the right parameters on the raw data, the rest of the room may appear again. Whilst this is a hypothetical example, the same holds true for practical industrial environments where at times it is necessary to block out things that are very hot and unimportant. Here, setting the right parameters on the raw data can help in achieving that. Stefan Thamke continued that during the UAV inspection of solar panels, the application of raw data can prove advantageous, as not all solar panels reflect in the same manner. Certain types of solar panels reflect intensely, while others do not. This will have a major effect on the visibility of particular areas of the solar panel. By post-processing the raw video data, one can improve the visibility of these areas by setting the right parameters. TeAx Technology gets the most out of thermal video from FLIR’s Tau2 thermal imaging camera core. Thanks to the ThermalCapture hardware and FLIR’s Tau2 thermal core, thermal video can easily be stored onboard the UAV and viewed and post-processed at a later date.